As I said in a post a while back, I want to help out others by providing information that I found out which might be of benefit to others. So this is one of those posts which hopefully might help one or two. 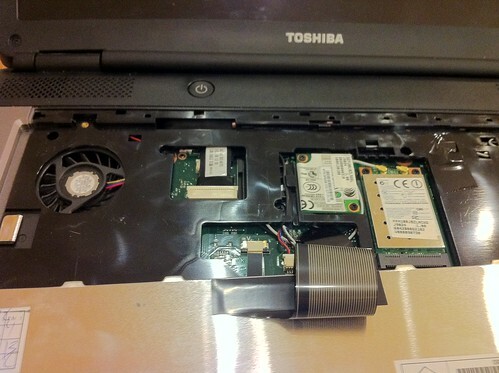 I was working on two laptops which have multiple things wrong with them, they are both the exact same Toshiba Satellite Pro L300, this was great since I could swaps parts between the two to narrow down what might be wrong. In this case, one of the laptops happened to have an issue with the video showing up on the screen, when I powered on the laptop the screen would flash then remain black, I then connected the VGA port to my monitor to test if there was video being sent and there was, so that was one issue sorted, there is video there. Next I thought it must be the screen which has broken, the person who owns the laptop told be she hit the laptop off something, so naturally you would assume the screen was in need of replacement, this is where having the two same laptops came in handy. I took both laptops apart and took the screens out too, then the screen which would show any picture, I put this into the laptop which would show video and the screen worked no problem, so that was another possible problem I thought it could have been, busted. Next I started to check the cables connecting to the monitor and they all seemed fine, good and secure. So the next set of cables I wanted to check was under the keyboard, these are the cables that connect from the motherboard / graphics card to the screen. To get to these, simply remove the grey strip, which is shown in the picture below. 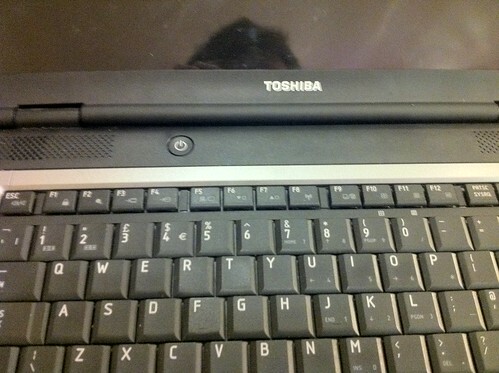 Next remove the two screws then gently push the tab in the middle to release the keyboard. Gently lift the keyboard up as to not break the cable that is connected underneath. You should now see a cable which runs from the screen to the board under the keyboard, check to make sure this is pushed in fully. In my case, this was loose, so I simply pushed it back in, then put everything back together and powered on the laptop and it worked perfectly, no issues, the black screen was gone and I could see the video on screen again. This was a simple solution, one I should have checked before taking the screens out, but it was also a case of process of elimination, and it paid off! Hopefully this post helps someone who expierenced this problem too. Brilliant! I would have made the same mistake. There is an old saying that one should learn from the mistakes of others because there inn’t enough time to make them all yourself. Fantastic. My screen wouldnt work. Tried this guide and it worked perfectly. Thanks!! Thank you so much, you’ve certainly helped me alot. My screen was weird colors, white was pink, black was green lines, this fixed it. I was going to order a new inverter for my customer when I found your post. I decided to check “just in case” and behold, the connector was loose on the left side. Thank you for saving me future head ache and thanks from my customer who will save quite a bit of $. 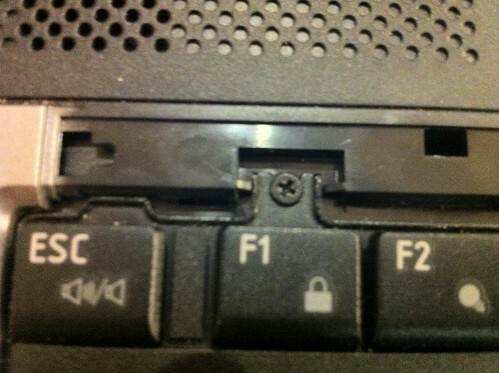 Tks Sean, Your fix worked for my daughter’s laptop and saved me a lot of hassle! Thanks for the info. I was able to successfully boot into windows on an external display but the video was not showing on the laptop lcd. I could see the backlight working so I figured it must be a loose connection. You are a legend that’s exactly what happend thanks for saving me the price of a new screen bro! darkscreen,could only just see what was on screen faintly with a torch!! Cheers for this – worked perfectly. Mine didn’t work any other advice. 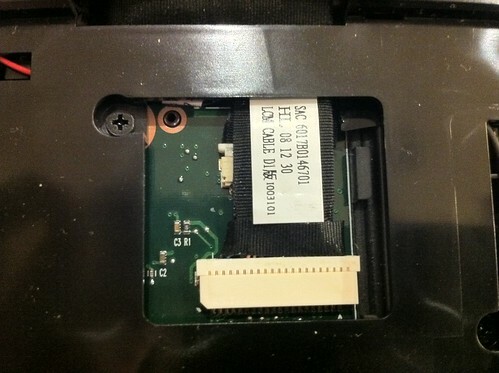 Thank you very much for the tip about the cable under the keyboard needing to be reseated. It brought my laptop back to life. I love you mate, you are such a smart man!! !